Twitter emphasises the number of followers you have. Emblazoned on your Twitter profile is the number of times you have Tweeted, the number of people you follow and the number of people following you. It is like some badge of honour, as though raw numbers mean something important. Of course, the number of followers you have is largely unimportant. You could have a million followers, but if none of them interact with you, if none of them do anything as a result of your Tweets or if none of them buy anything if you are in business, what is the point? But you could have just 10 followers who all interacted and who all were loyal customers. 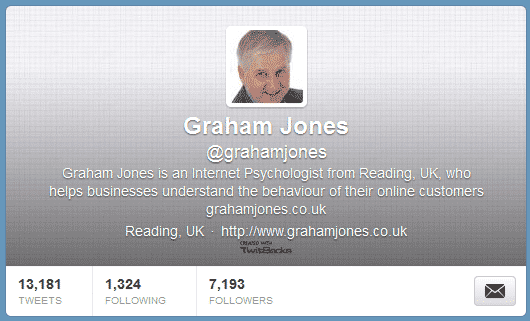 Even so, people are keen to get more followers – because the whole Twitter set up emphasises the issue. People feel somewhat undervalued if their friends have more followers than they can muster. Equally, business owners get into competitive situations, trying to get more followers than their rivals. There is plenty of myth about how to get more followers, as well as some cranky, underhand techniques which boost your follower number, but little else. Now, for the first time, a long-term study (PDF) has looked at the growth of Twitter followers over time in more than 500 users and half a million Tweets. The research confirms that you gain followers when – surprise, surprise – you are social. That’s right, hold conversations, chat to people and you instantly appear more interesting and therefore more likely to be followed. The study also demonstrates three things you must AVOID if you wish to gain followers. Provide useful information that includes a URL to original content. This is significant as it encourages “retweeting” which is also associated with increased follower counts. Write positive, useful Tweets, that contain links to informative web pages and then reply to people who retweet you. What are people looking for in your web pages? Thanks for the help information on Twitter. I didn’t realize hashtags were a problem. I usually use one per tweet.